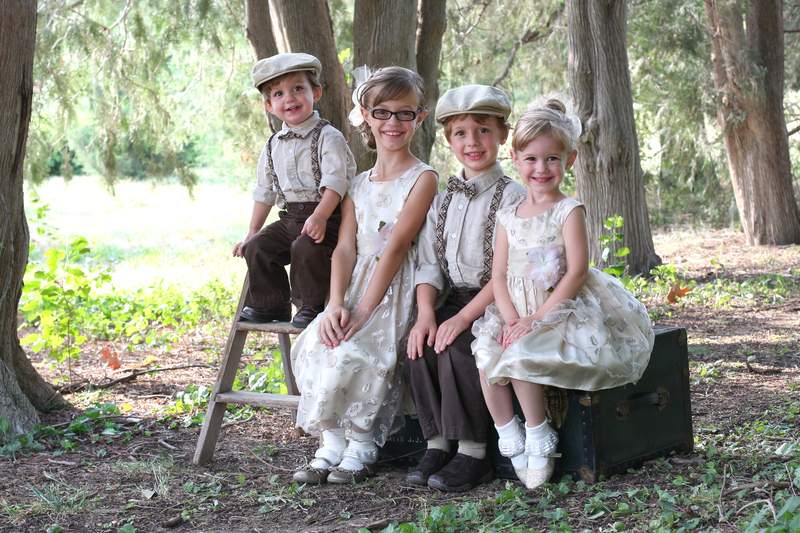 ← Happy 1st Blog-Birthday, 4 little Fergusons! Thanks for making yesterday such a special day for us! I loved hearing from you all as we celebrated 1 year of 4 little Fergusons together. Today is another special day, today is Tylan’s Born Again Birthday! One year ago today, Tylan tearfully came up to me and asked if Jesus could please live in his heart. What precious moments to be privileged to experience as a mother!!!! 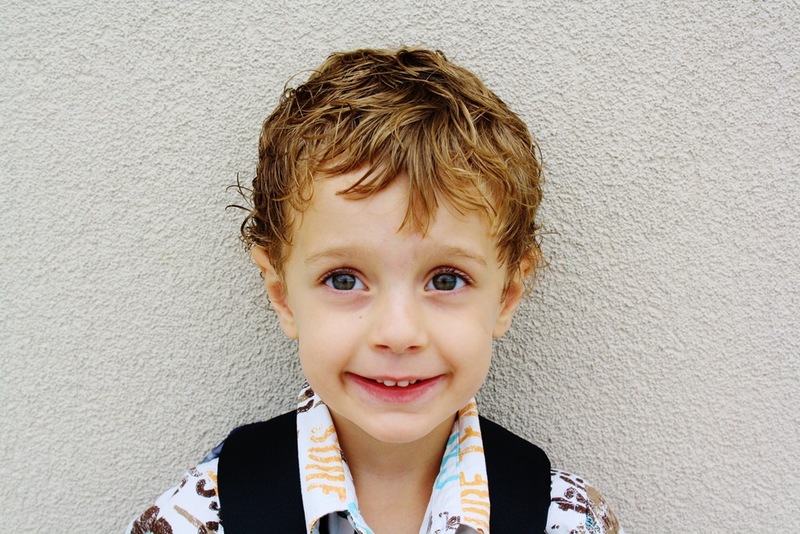 Check it out this special story here: Happy Born Again Birthday, Tylan! 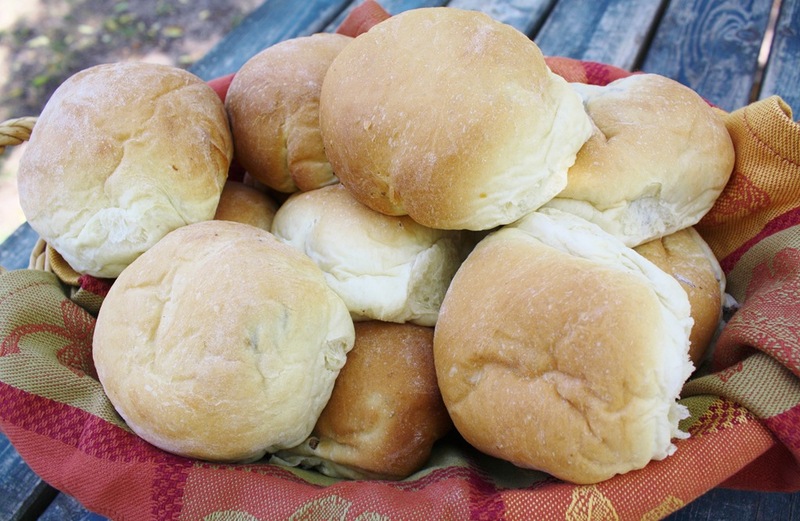 On to the recipe, Easy Bierocks…..
1 package Of 32 Rhodes Rolls Frozen Dough, whole wheat is best! Spray 2 muffin tins with oil. Fill each cup with 2 Rhodes Rolls. Spray saran wrap with cooking spray and loosely cover. 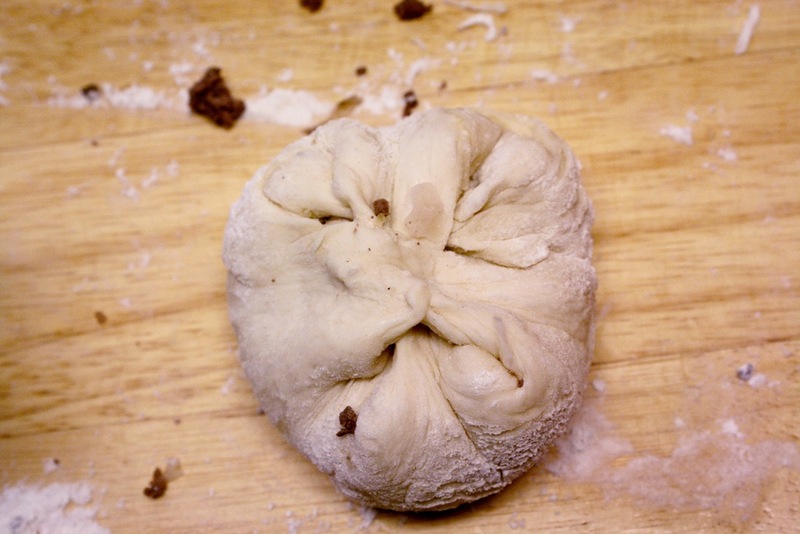 Let dough thaw and rise about 4 hours, or until double in size. Do NOT over rise, or they will deflate. In a skillet, fry up hamburger and onions. Drain. Rinse, drain and dry well, sauerkraut. 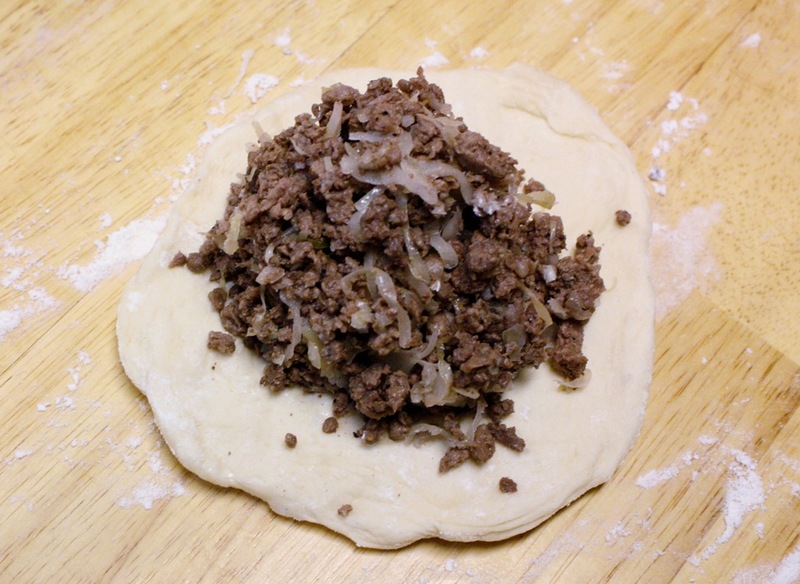 Add to drained hamburger. Stir in 1 1/2 cups of cheese. 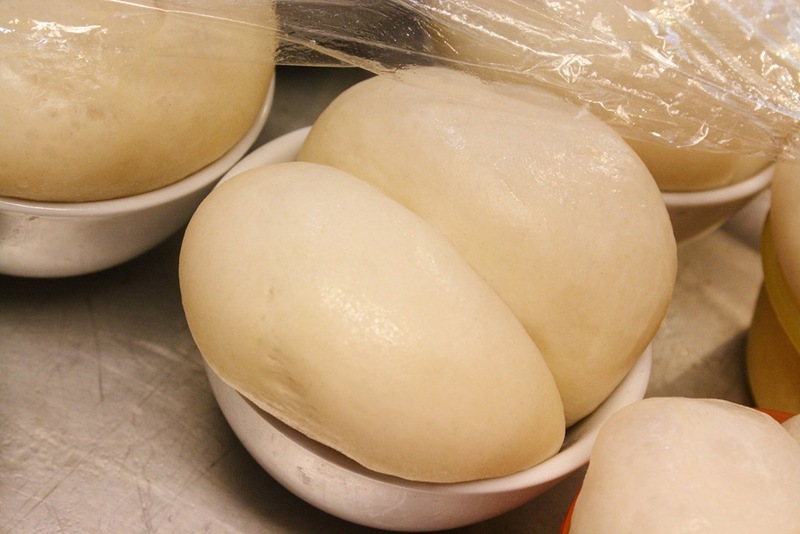 On a floured service, stretch raised dough into a 4 inch circle and fill with approx. 1/3 cup filling. Pinch 4 corners together to make a bundle. Repeat with remaining 4 corners so no filling is showing. 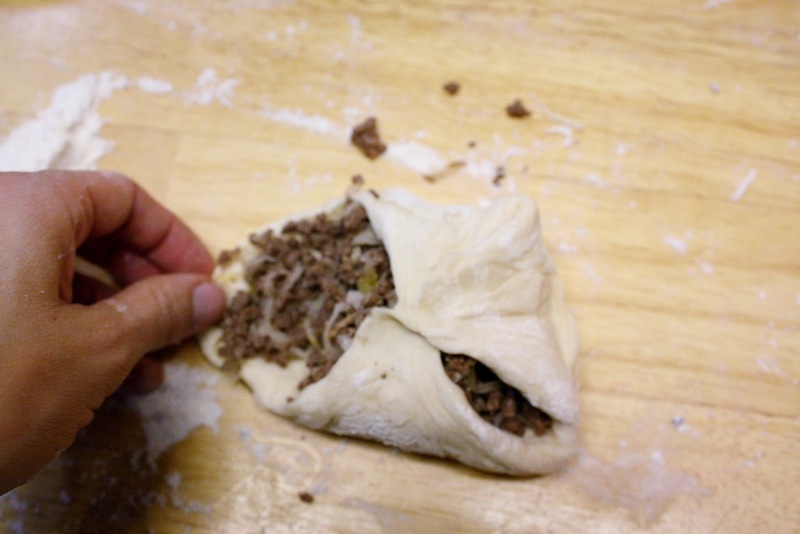 Pinch ends tightly together and place pinched side down on baking sheet. Repeat until all dough is filled. Bake at 425* for 20 minutes. 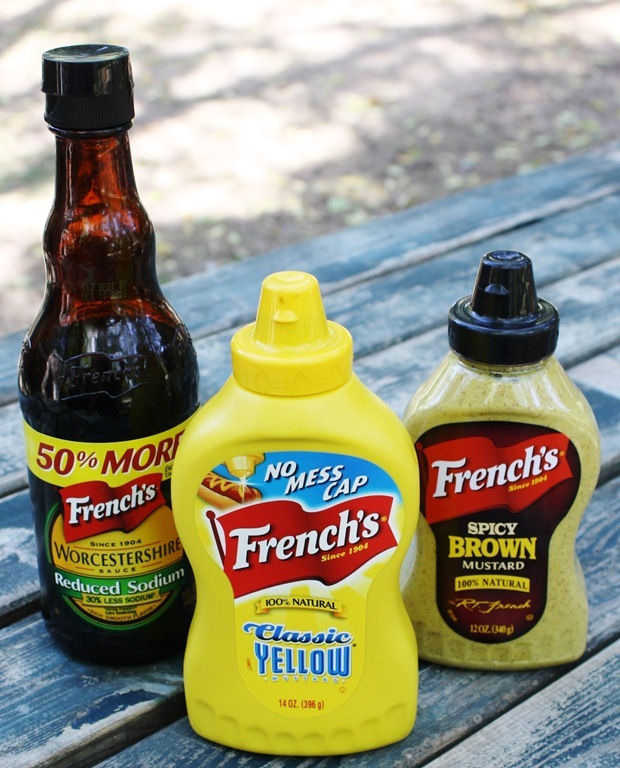 Serve with a mixture of yellow mustard, spicy mustard and Worcestershire sauce. Delicious! Comfort food at it’s BEST! And, as tradition dictates from my best friend, this dish must be served with Lipton Onion chip dip, potato chips and carrot sticks! YUMMMMMMMM. Happy Baking & Happy Born Again Birthday to my Tylan! What a very special week you are having. Today brought tears to my eyes. And a smile to my lips. And the recipe looks yummy. I just bought some Rhodes rolls too….it’s meant to be. Happy Born Again Birthday, Tylan. I had never heard of these, they sound INCREDIBLE. yummers. 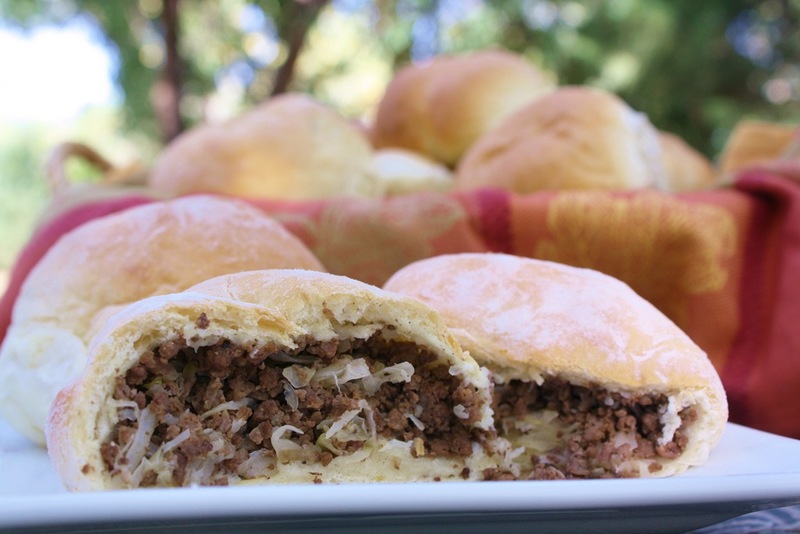 Reminds me of my mom’s cabbage biscuits, but Kraut would be so much better! 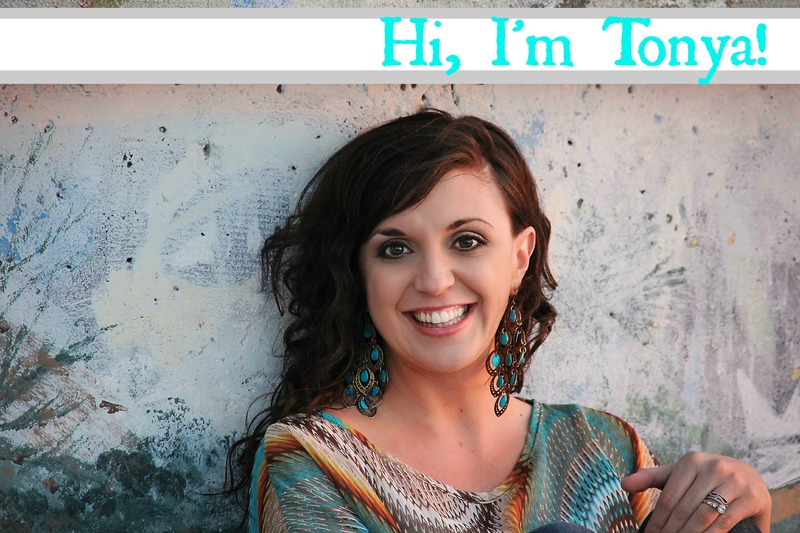 Tonya I know you do your planned out blogs but there is a kind of fun challenge I am doing at my blog. I would love it if you checked it out. Oh, Happy Born Again birthday Tylan! What a precious occasion! the bun photo and comment was cute! sure did look like buns!! What a special birthday to celebrate for your entire family. He is just precious! I teach a Ladies Bible Study Group and I will be sharing with them about his Born Again Birthday. We make Bierocks every year, it is a tradition, we just love them. I really like your recipe because it is easy and would be very good. Thank you so much for sharing with Full Plate Thursday. Hope you are having a great week end and come back soon! I spotlighted these on Made it on Monday TOP 3 ! thank you again for linking up and sharing your recipes with the “Made it on Monday” family! I don’t understand why you put 2 rolls in each section of the muffin tin to rise instead of just letting them rise on a baking sheet since you flatten them down to fill with meat mixture and then place on bread sheet to rise and bake. Oh wow! I have been making 36 small ones because I never caught on that you would use two together! Just read this! For the record 36 small ones works fine I just use less filling and cooked for less time! Oh, and how do you pronounce the name and what does it mean? Pronounced “Beer-ocks”. They are meat-filled pocket pastries originating possibly in Germany or Russia. The dish is common among the German community. It was brought to the United States in the 1880s by German Russian Mennonite immigrants. I grew up Mennonite and we loved these as kids! 🙂 And FYI, you don’t taste the kraut. I will be interested to hear what you think of these if you make them! I would like to come over to your house for dinner…these look tasty delicious! I haven’t had a bierock in years. My husband has a thing for cabbage, I might just have to try to make him some of these in the next few weeks. These look yummy! One problem, I have no idea what Rhodes rolls are?? Possibly a brand that doesn’t sell north of the border? Is there something else that can be substituted? BEAUTIFULLY! I do 6 per gallon ziplock or so.